Amid report that unnamed nation plans to meddle in election, PM emphasizes Israel is 'prepared.' Russia denies it's the country in question. Israeli Prime Minister Binyamin Netanyahu said Wednesday that his country led the world in cyber defense, after a report that an unnamed nation planned to meddle in its upcoming general election. "Israel is prepared to thwart a cyber intervention, we're prepared for any scenario and there's no country more prepared than we are," he told reporters. On Tuesday, privately-owned Hadashot television news reported that the head of the Shin Bet internal security agency had said that Israel was bracing for a state driven cyber intervention in the April 9 election. "A foreign state is planning on intervening in the upcoming elections in Israel, and it will intervene," Nadav Argaman was quoted as telling participants of a closed meeting. "I don't know at this stage in favor of who or against who," he reportedly said in Hebrew. Shin Bet later issued a statement saying that Israel "has the tools to locate, monitor and thwart attempts of foreign influence, if there should be any." "The Israeli security establishment can enable holding democratic and free elections in Israel," it said in a statement late Tuesday. 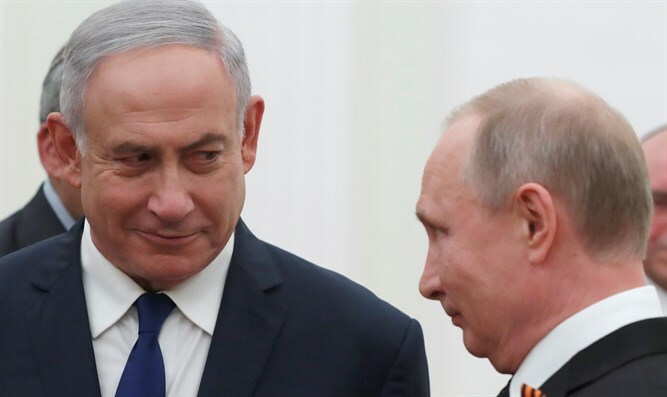 "Russia has never interfered in elections in any country and has no plans to do it in the future," presidential spokesman Dmitry Peskov said in comments relayed by the Russian embassy in Israel. Moscow has been accused of seeking to influence various elections around Europe - and the US presidential election in 2016 - through disinformation campaigns.